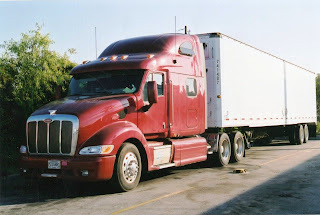 The Road Ranger Blog: US Trucks. 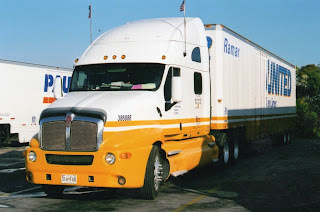 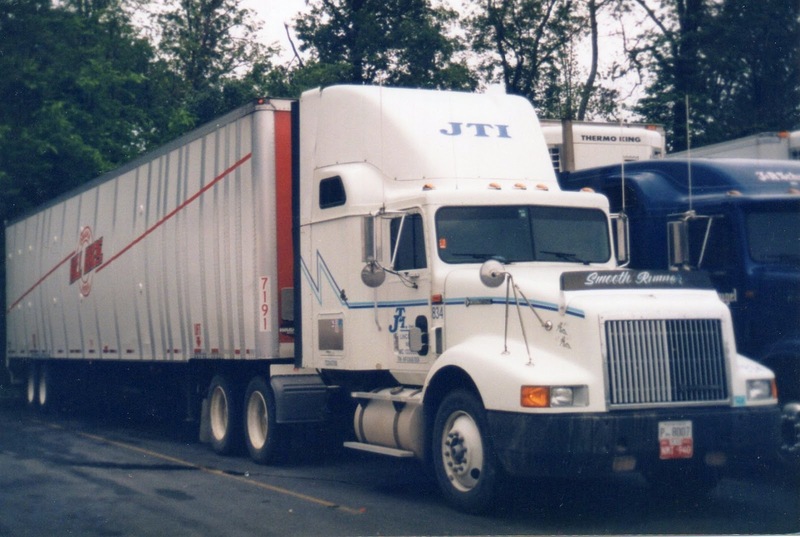 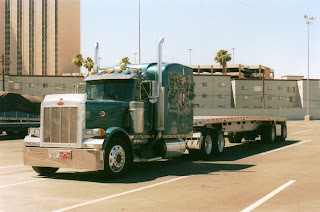 Here are some photos of US trucks from my collection, that I did not snap myself. 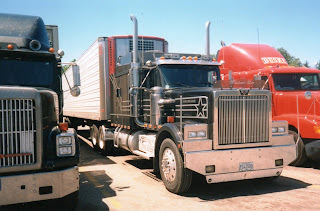 Western Star 4964 (I think). 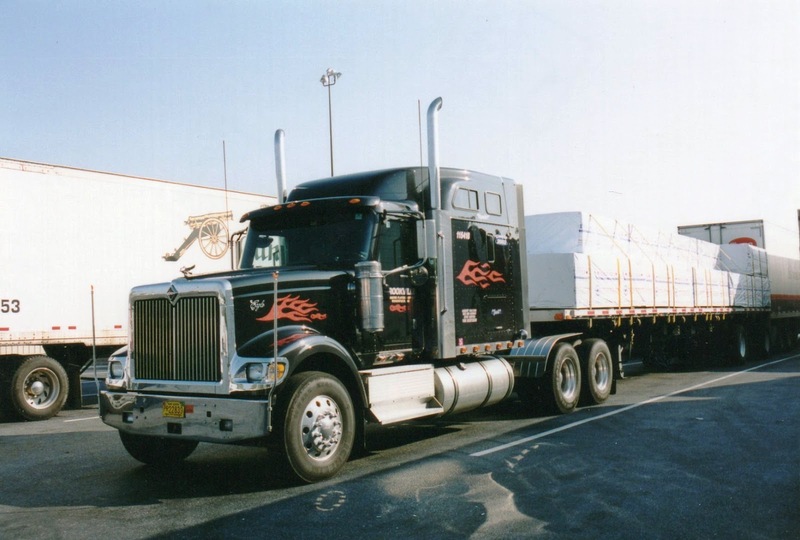 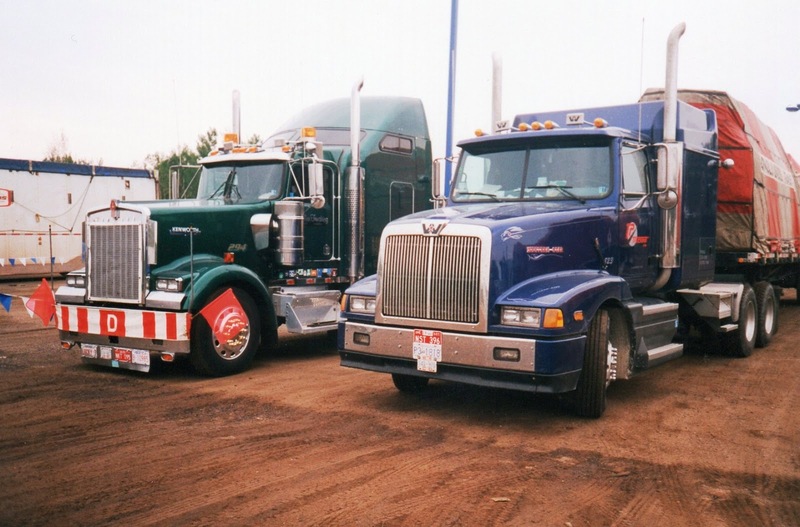 Kenworth W900L and Western Star 5900.
International Eagle operated by Billy Dye of Coraopolis Pennsylvania. 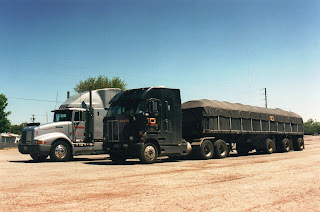 Don't know the model of this one; the cab looks like a 9300 with the hood of a 9900.
International 9900 Eagle, looks smart in black with red flames. 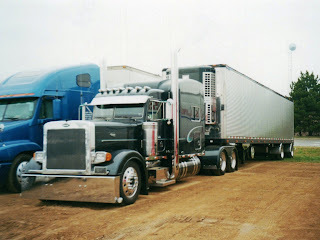 Long wheel base Peterbilt 362 tractor. 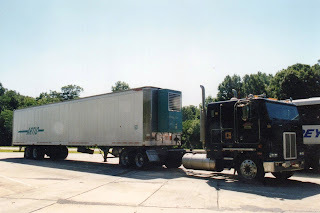 Straight pipes for this Peterbilt 379.
International 9400 and Peterbilt 372 with spaced tri-axle trailer. 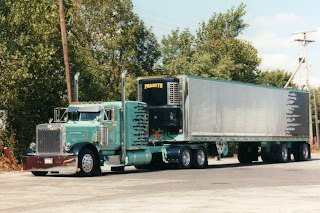 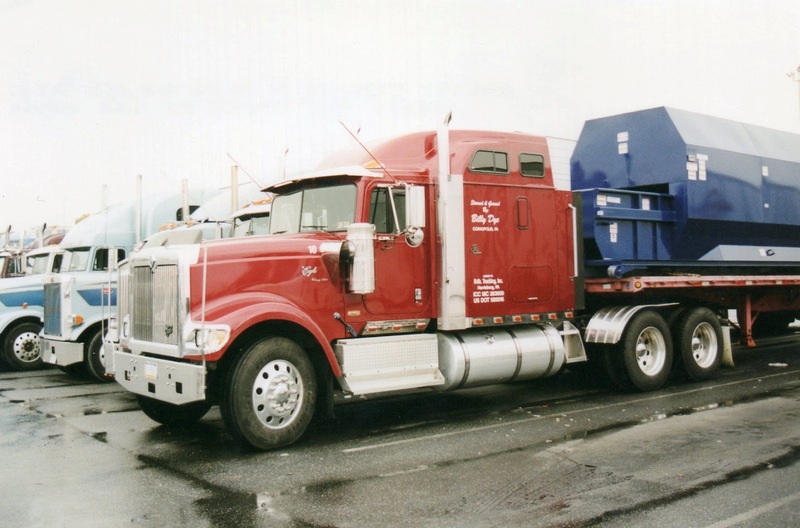 Don Hagon & Sons Trucking operate this Peterbilt 379. 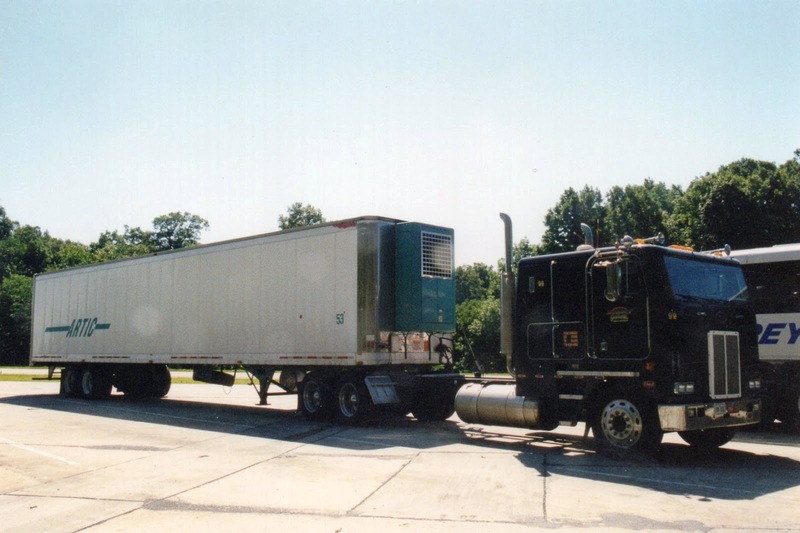 Note the upward bend in this unladen trailer. 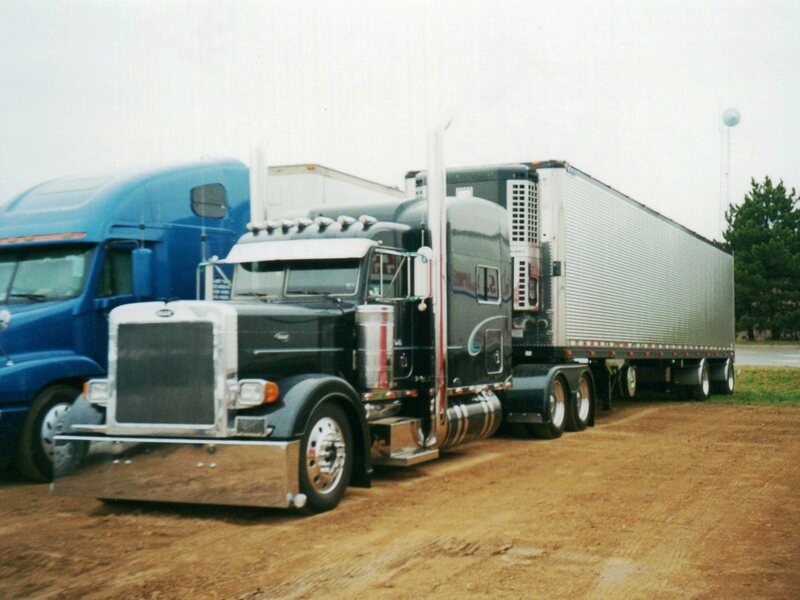 Many extras on this Pete of Priority Transport. Peterbilt 387 with an integral sleeper as big as a house. Also from the PACCAR stable is Kenworth's equivalent. The T2000.